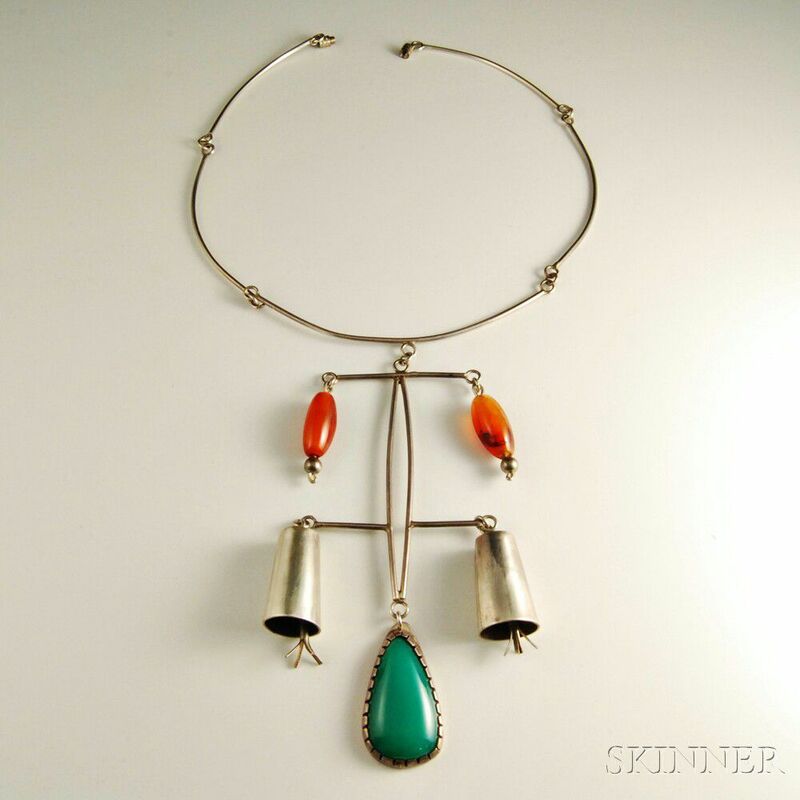 Sterling Silver and Carnelian Necklace, segmented necklace with large, multi-tier pendant, the pendant with silver bells and carved beads, marked "Bali" on the back, necklace lg. 14 1/2, pendant lg. 4 3/4 in., 1.5 troy oz.